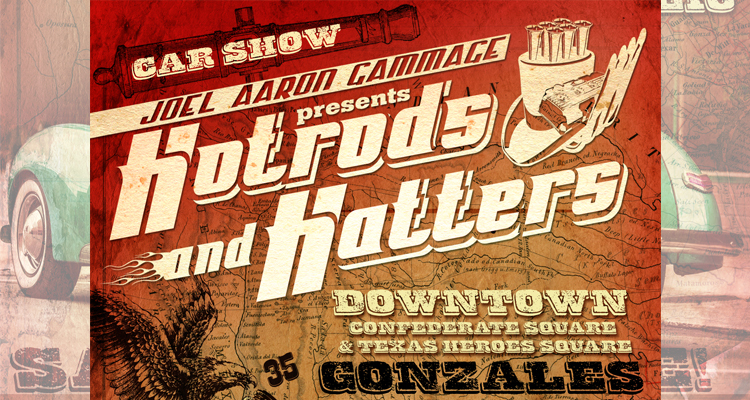 If you’ve been following the Radar for the last few weeks, then you know that one of our all-time favorite shows, the Annual Hot Rods and Hatters Car Show and Festival, is moving to Gonzales Texas for its upcoming 8th year. Now, there’s been a little controversy about the show moving out of Lockhart, especially since the show has been a major boon to the downtown area since its inception. But sometimes, you have to move to new pastures to keep the momentum going and the city of Gonzales is rolling out the red carpet to welcome our friend Joel Gammage and Hat Rod Productions. The mostly amicable move has been big news in both Lockhart and Gonzales, with the local papers in both towns covering the news. 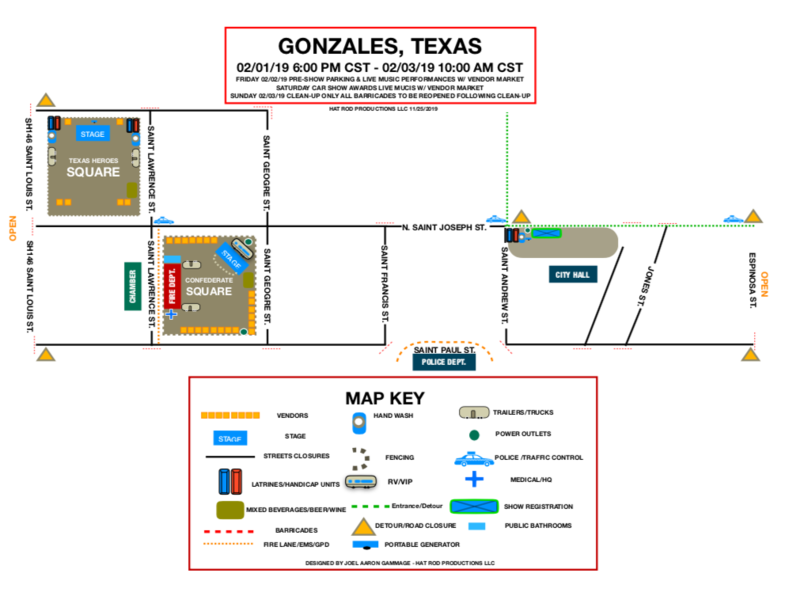 Essentially, moving to Gonzales will allow for more room for more hot rods, more hotel occupancy and more people. And that’s what this show is all about. But, what’s a big move like this without a little drama? If you want to register your ride and get more info, click here. Hotel rooms are going fast, so if you are going book now. Click here to find a room. If you want to be a vendor, and trust us, you do, click here for all the info. 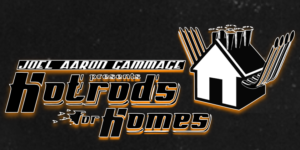 And returning this year is the Hot Rods for Homes project that started last year and had so much impact with the community. Last year, Joel and his crew of volunteers rebuilt a home for a family in desperate need of help. The Torres family were completely forgotten people. A brother and his two sisters, one of whom is intellectually disabled, were in poor health and were afraid to ask for help. By chance, Joel was driving by the house and happened to see one of them pass by a window. Long story short, he knocked on the door to see if he could help and the rest is history. A very touching history. Joel was able to reach out and find volunteers who donated materials and time to help the Torres family. The sense of community togetherness has inspired many of us to want to help keep this project going, so plans are in the works to help another family in the Gonzales area, so stay tuned for more on this amazing story as it develops. For more information and to learn how to volunteer to help, visit hotrodsforhomes. 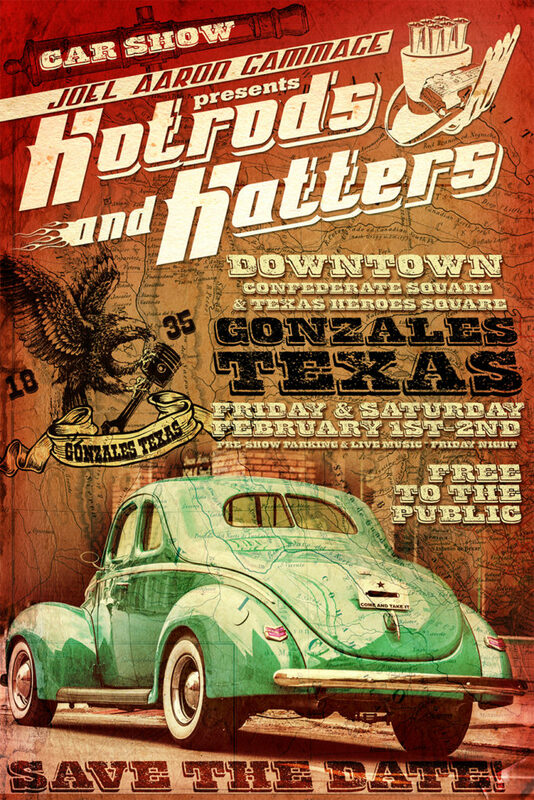 If you like hot rods, rockabilly music, great people, great food and want to check out the new venue in Gonzales, then make plans to be at the 8th Annual Hot Rods and Hatters Car Show and do us a favor and stop by our booth to say hi. Or whatever else comes to mind. We’ll be there and would love to meet you.